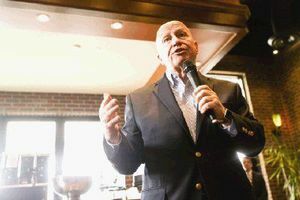 Perhaps there would be no larger election-day upset than the ouster of incumbent U.S. Rep. Kevin Brady, R-The Woodlands. Three challengers — Andre Dean, Craig McMichael and Steve Toth — are seeking to do just that. The three have made it almost a joint effort to elect anyone but Brady.